Checking the stats for spigotdesign.com today revealed that less than 10% of the visitors here are using Internet Explorer 6. This is great news! This means we can now officially drop support for this outdated browser, at least on this site. Now that I’ve reached the vaunted 10%, and with newer browsers continuing to improve rendering consistency and support for standards based techniques, continuing to support an aged browser simply doesn’t make sense. I’ve come to this decision with hesitation, and also relief. I hesitate because I pride myself on designing websites with accessibility and usability in mind. Dropping support for any percentage of users doesn’t jibe with those ideals. I’ve continued on in this decision because I’m confident that while I’m ostensibly ‘dropping support’ for IE6, users of that browser will not notice a difference in how this site looks and functions than it did yesterday. Freedom and relief are what I feel when I realize that I will not have to spend countless future hours, at least when working on this site, on supporting a browser that doesn’t support me. For most of you it means absolutely nothing. For the 90% of you that are viewing this site on a modern browser (including Internet Explorer 7) – spigotdesign.com supports you. For the rest of you – you don’t have much to worry about either. ‘Dropping support’ sounds so harsh and violent, but I’m really just trying to make a point. I won’t be pulling out my .png fix support, nor will I take out my IE6 specific stylesheet. In fact, you won’t notice any difference from my previous ‘IE6 support’ days. In the future, however, I will not be going out of my way to make sure this site looks as good on IE6 as it does on any other modern browser. Of course, I will continue to support IE6 for all of my existing and future clients sites. 10% is still a large enough portion of visitors on any site. Completely leaving them in the dark would be counter to our philosophy of building sites that are as usable as possible for as many users as possible. Stop the Hate – IE6 Isn’t So Bad! Actually had a hard time finding any more… sorry. Well John, you certainly make a good point. 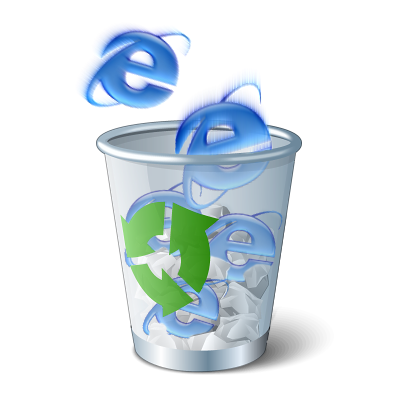 I\’m not a hater in general, but the day we can all safely leave IE6 behind will be a day to celebrate. No arguments there, Bryan! I’ve just got to keep looking out for our customers, no matter what browser they are using. The site I am currently working on is 70% IE7 and 22% IE6 – way too many to drop support! @Michal – Your project looks really interesting, and there\’s a part of me that would love to participate, but it feels a little drastic. I can\’t afford to alienate current or potential clients!